Get there on time, every time. Don’t stress out about the traffic and best and fastest routes – rely on La Jolla and simply enjoy the ride and beautiful scenery. 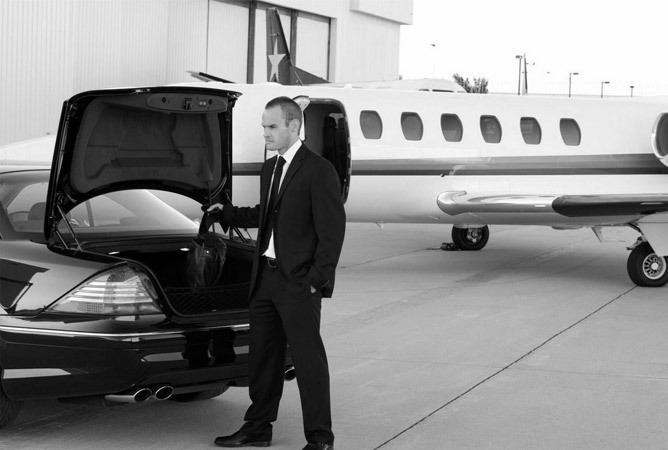 You can even squeeze in a little work before your flight, since we offer complete privacy and unobtrusive service. You can schedule your ride in advance, or use our meet & greet service. Fly in and get in the car immediately, without losing time on trying to get a decent vehicle. Our experienced drivers will help you with your luggage.